"The man in black fled across the desert and the gunslinger followed." 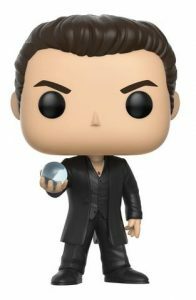 With the release of Funko Pop The Dark Tower, Mid-World comes to life in the form of several stylized figures. Included in the main Pop! 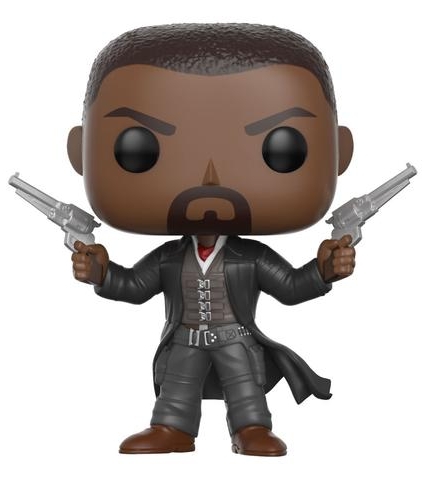 Movies line, Funko Pop The Dark Tower features The Gunslinger, portrayed by Idris Elba, outfitted in a futuristic, yet still western, vest with silver clasps buckled together over a white shirt and red scarf. Completing the look, the rough-rider brandishes a silver six-shooter in each hand with a black duster waving behind him. 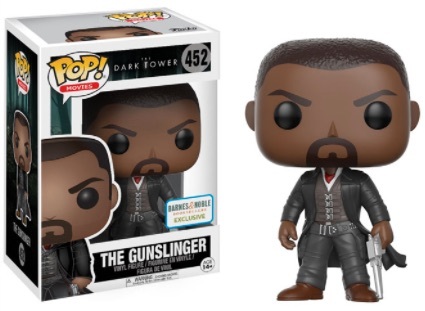 Collectors can also find a Barnes and Noble exclusive that shows The Gunslinger with his weapon lowered. Shop for The Dark Tower books on Amazon. An evil sorcerer, The Man in Black, played by Matthew McConaughey, is dressed in a custom-tailored suit. 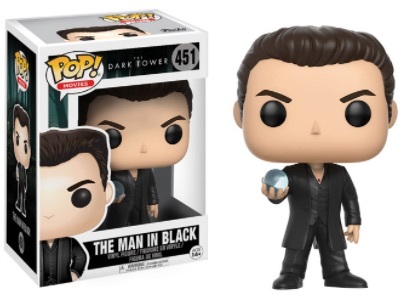 The ageless enforcer also has slicked-back hair and holds the Black Thirteen crystal ball. Based on the novel series by Stephen King, The Dark Tower film follows Jake Chambers, a young boy who meets Roland Deschain, the lone western-esque knight known as The Gunslinger, after transporting to another dimension. Together the two travel to the Dark Tower where Deschain hopes to save the world from destruction. 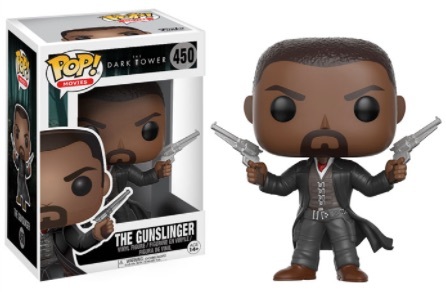 Funko Pop The Dark Tower The Gunslinger Pop #450 Retired. Never Opened.